This coastal golf course in the village of Kleinmond is situated in the Overstrand, in the Overberg Region and forms part of the famous Whale Coast. Only 100 kilometres from Cape Town, it is considered one of the hidden treasures of the Western Cape. The immaculate condition in which the course is kept, complemented by an abundance of wild life and the natural beauty of the surrounding Cape flora, as well as the breathtaking mountain and sea views, ensures an unforgettable, though challenging golfing experience. 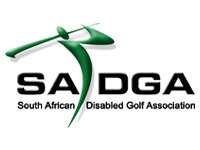 During 2007 the course was ranked the third best nine hole course in South Africa by Complete Golfer.